A short biography of French steel fitter Jules Sellenet, who operated under the name of Boudoux. Jules Sellenet was born on 18th July 1881 at St-Etienne in the Loire region of France. He married Joséphine Doumen at Coursan in the Aude region in 1901. A little later he was drafted into the army. Because of his anarchist opinions he was transferred from one infantry regiment to another at Narbonne. 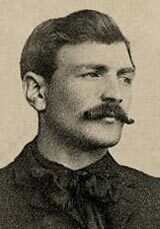 He then deserted in 1904 and hid in Marseilles, borrowing the identity papers of a Parisian anarchist called Boudoux. He then used the name Francis or Francois or J.S. Boudoux throughout his life. A metal worker , he became secretary of l’Union des syndicats de Longwy and took part in the strikes at Lunéville (April-May) and Longwy (August 1905). He then had to take flight but was arrested as a deserter. On 4th October 1905. He was condemned to 2 months in prison, sent into an infantry regiment but subsequently amnestied. He now joined the anti-militarist organisation Association Internationale Antimilitariste (AIA). He then moved to Nancy the following year, having left his wife and children. In March he served 4 months for carrying a weapon and intimidating blacklegs. In June he served 1 month for similar offences and a year later 15 days jail for another offence. He took a leading role in the strike at Raon-l’Étape in the Vosges in 1907. During a peaceful demonstration the forces of order opened fire and killed two workers. Boudouyx spoke at the funeral.He was arrested on 23rd August for having hit a blackleg and sentenced to 6 months jail and 100 francs fine for provocation to murder non-strikers. He got out of jail in February 1908 and in March was elected secretary of the l’Union des Syndicats Ouvriers of Meurthe-et-Moselle. He set up the paper La Voix Sociale and was a delegate at the 16th conference of the CGT in Marseilles in October 1908. He wrote many articles for syndicalist and anarchist papers including Le Réveil, Le Syndicaliste and La Vie Sociale de Meurthe-et-Moselle. Boudoux may have caused the employers to be disturbed but he also caused consternation among reformist element in the workers movement and he was denounced as an agent provocateur by metal workers in his area. A motion of expulsion was passed with appeal to the national leadership. However Boudoux decided to leave the region and moved to Montceau-les-Mines. Here he tried to join the miners union but was accused by the leaders of that union of being an informer or in the pay of the reactionaries. Nevertheless he was delegated to a CGT conference in September 1912. He was drafted into the Army during World War One. He was decorated for having saved an officer. In 1916 he worked at an aeroplane factory at Courbevoie on the outskirts of Paris. After the war Boudoux returned to his political activism. He established contact with the anarchist Sébastien Faure and was an active member of the Comité de Défense Syndicaliste (CDS) set up in January 1916. He served as its secretary for a time. With other militants like Veber and Rey, he fought against the reformist leadership of the CGT. He was also secretary of the Syndicat des Charpentiers En Fer (Union of Steel Fitters) de la Seine . The old accusations were resurrected against him and Jouhaux , the reformist GGT leader, upheld the charges that he was an agent provocateur and in the pay of a local metal industry boss. Boudoux refused to appeal and was deprived of the right to serve in any union post. At this time Boudoux was writing for the anarchist paper Le Libertaire. He signed an appeal speaking for his steel fitters’ branch against the raids on the offices of Le Libertaire along with other libertarians in March 1919. He was one of the speakers at a UA meeting on The Anarchists and Dictatorship, part of a campaign against Bolshevism in 1920, held at the Rue Grange-Aux-Belles. He argued strongly in the pages of Le Libertaire against affiliation to the Red International of Labour Unions. In 1922 with other anarchists he was involved in the inquest on reformism within the CGT published in the paper of Faure, La Revue Anarchiste. With other libertarians he was a founder of the syndicalist circle Fernand Pelloutier situated at 33 Rue Grange-aux-Belles. Boudoux joined the anarchist organisation Union Anarchiste and attended its congresses in 1923 and 1924. He was wounded in the shootings at Rue Grange-aux-Belles (see the libcom article on that event). The communists resurrected the old slanders against him during this period. Boudoux was a member of the steel fitters’ section of the Syndicat Unique du Bâtiment (SUB) of Carrières-sur-Seine which had detached itself from the CGTU, then was secretary of the SUB in Paris during 1925 and 1926. Whist being active in the anarchist group of Bezons. In 1926 he was secretary of the Fédération Nationale Autonome du Bâtiment. He got a motion passed on unity between all the autonomous syndicats. He was a founding member of the CGT-SR, the anarcho-syndicalist union inspired by Perre Besnard, separate from both the CGT and CGTU, and became secretary of its building federation. At Carrières-sur- Seine in 1936 he continued his organising among building workers and was a co-editor of Le Travailleur du bâtiment (Building Worker). He stood as an anarchist candidate in the first round of the 1936 elections at Versailles. He travelled to Spain and joined the Durruti Column and his death fighting with it was erroneously reported in Le Libertaire in October 1936 ! He returned to France and was present at the 6th congress of the CGT-SR in January 1937. On the eve of the Second World War, Boudoux was in charge of propaganda for the Building Federation of the CGT-SR. He was still working as a steel fitter living at Carrières-sur-Seine when he died on 17th March 1941.